Traditional cattle only spend their first year on the range, before they are sent to a feed lot for their final six to eight months of life. They’re often given processed feed that includes genetically-modified corn, byproducts, high fructose corn syrup and antibiotics, until they are fattened up to their finished weight. Some animals gain as much as 600 pounds during the 200 days leading up to their slaughter. Mannix Ranch raises natural, 100% grass-fed Angus beef of the highest quality. About 200 head go through the Ranch’s grass-finished program each year. These livestock receive absolutely no grain feed, antibiotics or growth hormones. Another secret behind Mannix beef’s taste and tenderness is that it comes from healthy land. The Blackfoot Valley’s rich soils, sparkling streams and pure mountain air combine to raise exceptional beef. The Ranch has always operated under the belief that the family themselves aren’t the owners of the land and livestock, but rather humble managers. The Mannix Brothers are constantly honing their practices, so they can pass on the value of stewardship and conservation to the next generation, just as it was passed to them. David also believes most shoppers simply aren’t educated on the hidden costs many grocery store foods have on our environment and our health. “If people really knew the true cost of eating cheap food, grass-finished or organically farmed food wouldn’t look so expensive,” he said. Want to help carry on the Mannix Family legacy and enjoy tender and flavorful grass-finished beef? 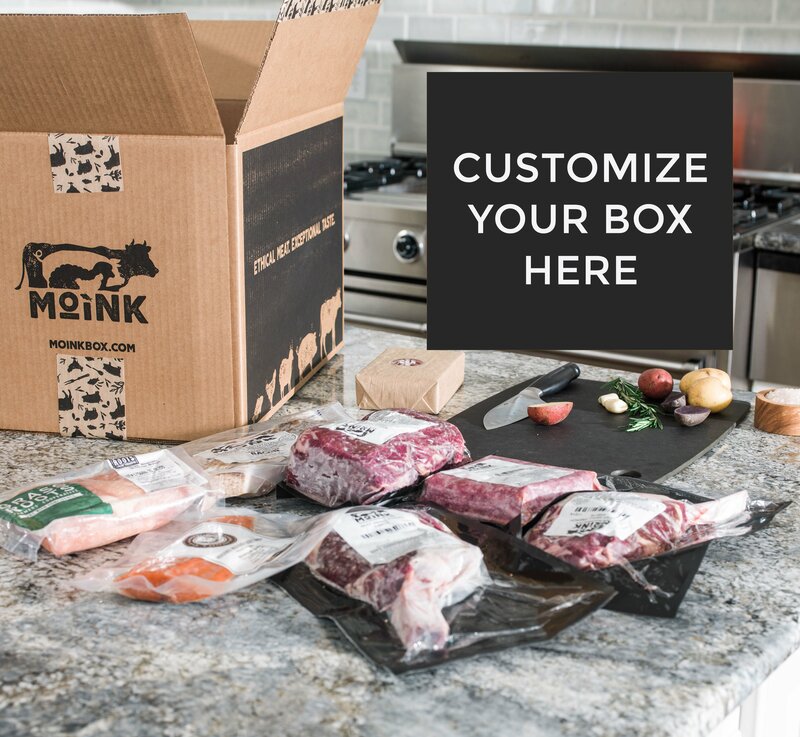 Try a Moink Box Today. At Moink, our farmers are like family. Moink is farmer owned and we love introducing you to the men and women who compassionately and skillfully raise our animals. Learn more about Mannix Family Ranch here. Check back for regular Meet our Farmers posts.